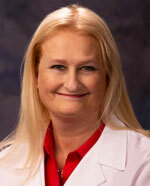 Janet Conley, CNP is a native of Greenup County, Kentucky. Janet graduated from Shawnee State University in Ohio with a BSN in Nursing and Walden University with a Master of Science in Nursing along with a degree as a Family Nurse Practitioner. Janet is nationally Board Certified as a Family Nurse Practitioner by the American Academy of Nurse Practitioners with over 30 years of experience as a nurse. She has worked as an LPN, RN, BSN, RN Supervisor, Assistant Director of Nursing, Director of Nursing and Nurse Practitioner at long-term care and rehabilitation centers and internal medicine family practice. Janet is a member of the American Academy of Nurse Practitioners, American Nursing Association, California Association of Nurse Practitioners, Ohio Board of Nursing, and Kentucky Board of Nursing. In her free time, Janet enjoys spending time with her family. She enjoys motorcycle riding and racing and numerous outdoor sports.